Stressed cells have a big response to light, healthy cells not so much. We live in a stressed filled world and our bodies – that are made up of trillions of cells are being aggravated & irritated by this stress. Stress comes in many forms – environmental, chemical, emotional, what we eat, how we sleep or not… to name but a few. The effect on our bodies is Inflammation. Inflammation is degenerative – for our bodies – in a nutshell it’s “ageing”. Imagine what its doing to our skin – sensitivity, redness, dehydration, dryness, rosacea, irritation… premature ageing – lines and wrinkles, sagging, laxity due to the breakdown in the natural physiological processes in the skin occurring faster than they can naturally repair and regenerate. LED photobiomodulation therapies have a profound effect on the cells in the skins layers. Like light for plants it stimulates not unlike photosynthesis. Energising the cells power house (known as the Mitochondria) enabling the cell to produce more energy, displacing chemical compounds that have built up in the stressed, inflamed cell – allowing healing, regeneration and normalising cellular function. LED photobiomodulation settles inflammation, makes the cells more resilient, encourages better lymphatic and blood flow to an area. It gets the cells “talking to each other” so it has an indirect as well as a systemic effect – meaning it has wider reaching benefits than just where the light is being exposed to. Even NASA has recognised that it is therapeutic for the skin and can help heal wounds. 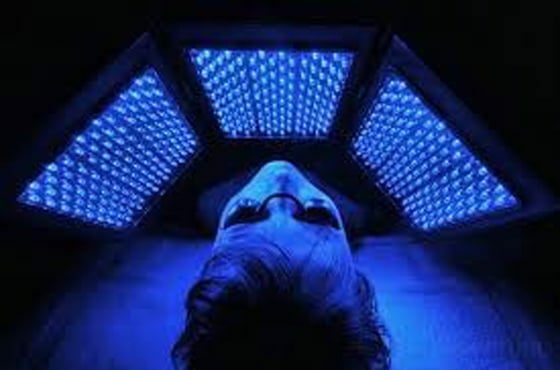 LED light therapy/PBMT is a non-invasive, causes no inflammation, and requires no special post-treatment procedures. It is proving to be an effective treatment for aging skin as well as other conditions such as rosacea, dehydration, pigmentation, general redness, skin sensitivity, acne and inflamed irritated skin. Different wavelengths of Light target different conditions on/within the skin such as Red, Blue, Infra Red. LIGHTWAVEs patented Red, Infrared & Blue Light therapy can dramatically revitalize your skin without any downtime or discomfort. These innovative aesthetic treatments help counteract years of sun damage, environmental damage, aging, acne and acne scarring. LIGHTWAVE provides noticeable results. What to Expect: Light (LED/PBMT) treatments are safe, simple and easy. The amount of time you spend at your skin care specialist may vary based on your individual skin care needs. You can expect an individual LIGHTWAVE treatment to take up 30 minutes. It’s so simple and fast that many patients have treatments during a lunch break or on a quick stop on the way to or from work. Treatment Recommendations: For optimal results a series of treatments is recommended – 2 treatments per week for a course of 6-10 weeks, with follow-up/maintenance treatments monthly. 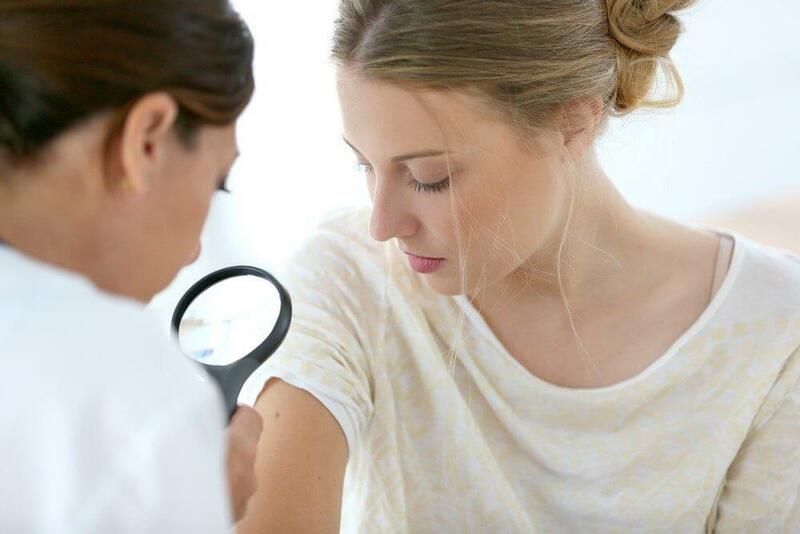 All treatment recommendations will be discussed at your initial consultation, as the protocols can vary according to the condition and severity. After the Treatment: Each individual responds differently; some notice changes much more quickly than others. 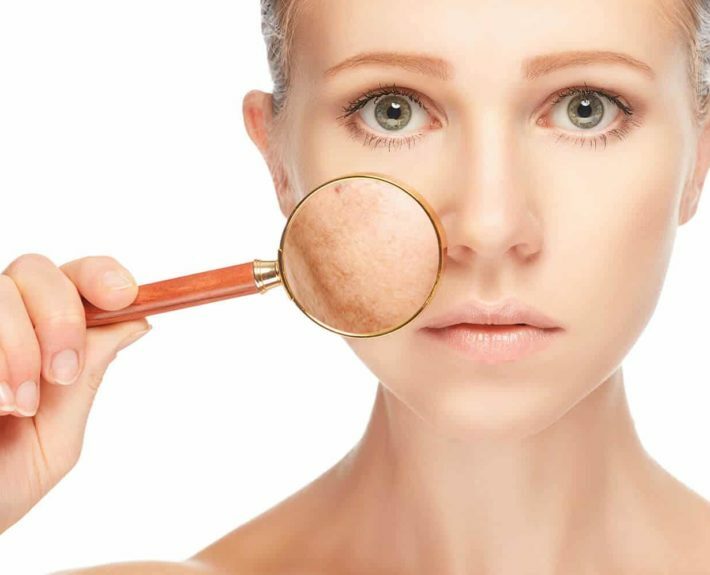 The following principles are generalities; specific results will vary from client to client based on the client condition, skincare history, skincare regime and lifestyle factors such as diet, sun exposure. The following protocols have been designed to address the most common requested treatments. Our treatments range between 8-30 minutes in duration. LED light Therapy session (Red and/or IR Light) designed to re-hydrate the face, and increase collagen and elastin formation resulting in a reduction of fine lines and wrinkles. It aids in decreasing flaccidity, lifting sagging tissues and restoring skin tone and texture resulting in an overall improvement erasing years from the face. 10-12 treatments are recommended, optimal 2 treatments per week for 6weeks. Maintenance once a month or as needed can prolong the youthful appearance. 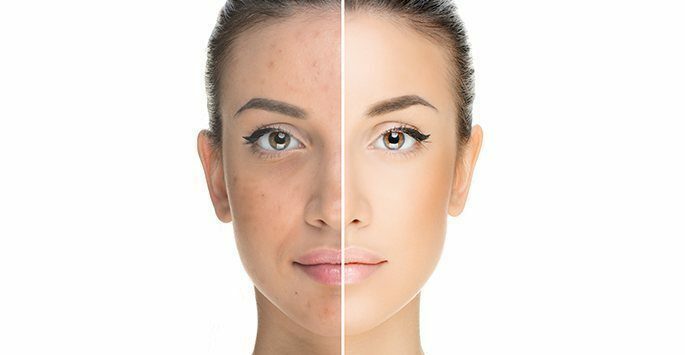 LED light Therapy session (Red and/or IR Light) intended to improve discoloration caused by sun damage, chemical build-up, and chemical reactions from chemical peels, and excessive use of skin damaging products. This process normalizes the melanin within the skin. The amount of treatments needed vary depending on the amount of damage to the skin, the thickness of the skin and the age of the client. LED light Therapy session (Red and/or IR Light) uses powerful Infrared and red light to stimulate the reduction of fibrotic tissue and the replacement of normal tissue. Clients usually notice softening of scar tissue. They also notice flattening and widening of the scar. This is a normal sequence in scar reduction. 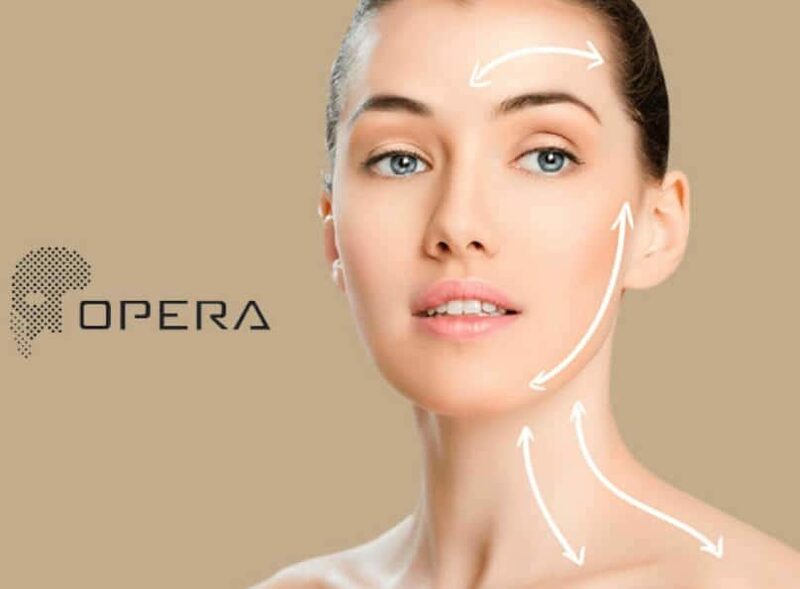 With several more sessions the flat, wide scar will become thinner and remain flat. Some scars may appear to be resistant to this program (hypertrophic and/or keloid). 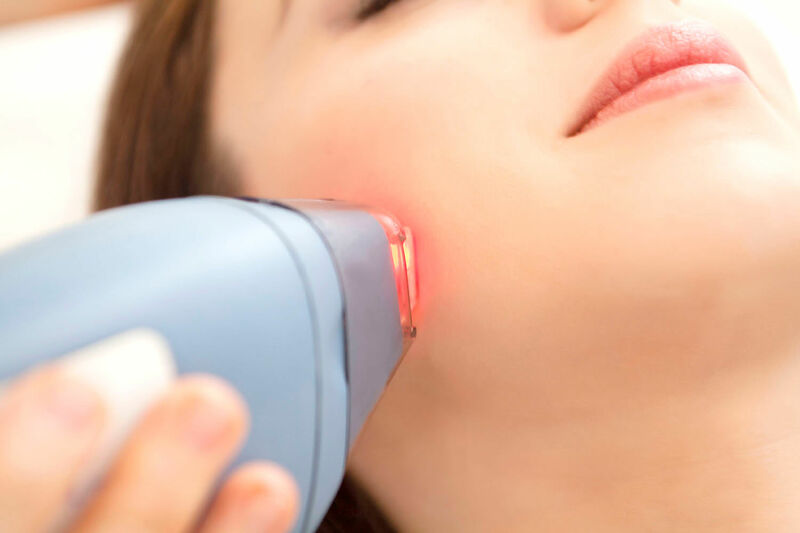 LED light Therapy session (Red and/or IR Light) is designed to increase blood circulation and bring more nutrients to the skins surface which helps to keep the skin from breaking down. It also helps to normalize dry or oily skin, achieving an overall improvement in skin tone and texture. 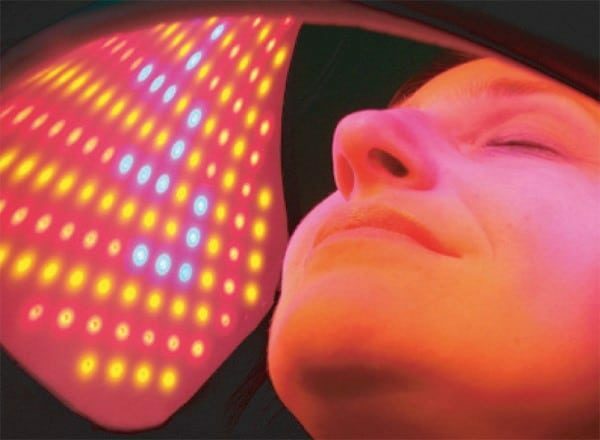 LED light Therapy session (Red and/or IR Light) that focuses on skin retraction, by increasing circulation and bringing nutrition to damaged tissue. This program is particularly effective over the abdomen, neck and upper chest. Treatments should be applied twice per week and may require between 10 – 20 treatments. LED light Therapy session (Red and Blue Light) designed to repair damaged skin and significantly reduce the P. acnes, the bacteria responsible for causing inflammatory acne vulgaris. 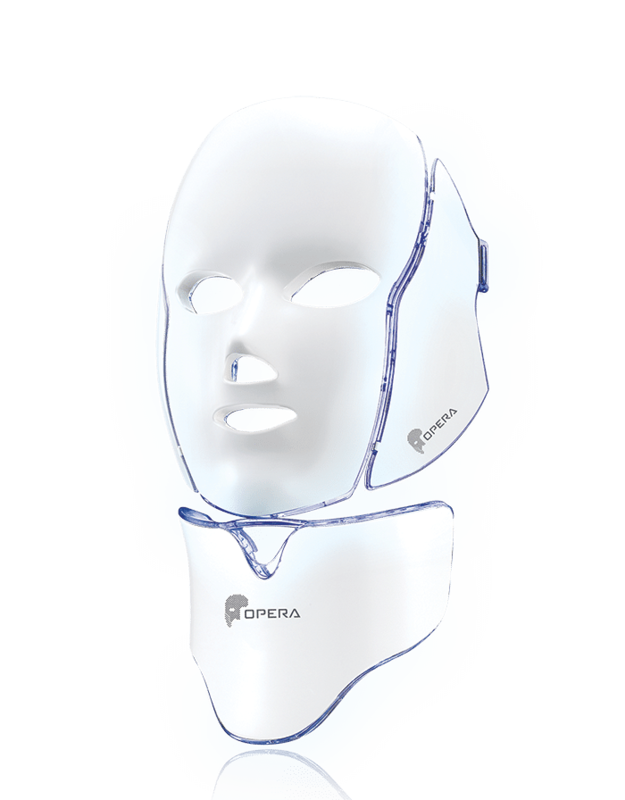 15 minutes of Blue light first enters the sebaceous glands and singlet oxygen is created. Singlet oxygen then in turn kills the bacteria. Next, the client is exposed to 15 minutes of red light. This acne treatment aids in the healing process of the skin and prevents infection and scarring from occurring. The use of bundling or combination therapies can improve results dramatically. During your consultation the best therapies will be discussed with you, the recommended course, combination and based around your needs. Combination therapies have been proven to enhance results addressing conditions from a multi level approach.